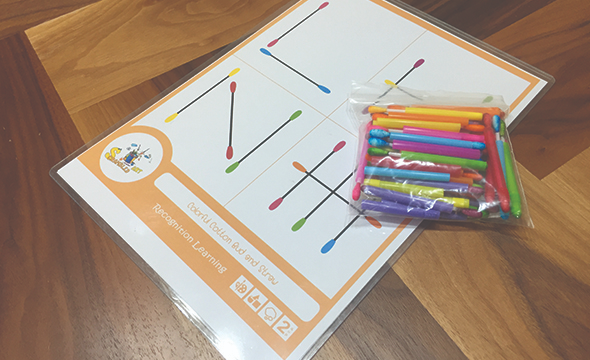 Helps to develop fine-motor skill and fine motor controlling. They will be involved with several steps of making different lines and shapes by placing colorful cotton buds according to each instruction. This also helps children to get used to different types of lines which can help them in writing and drawing in the future.